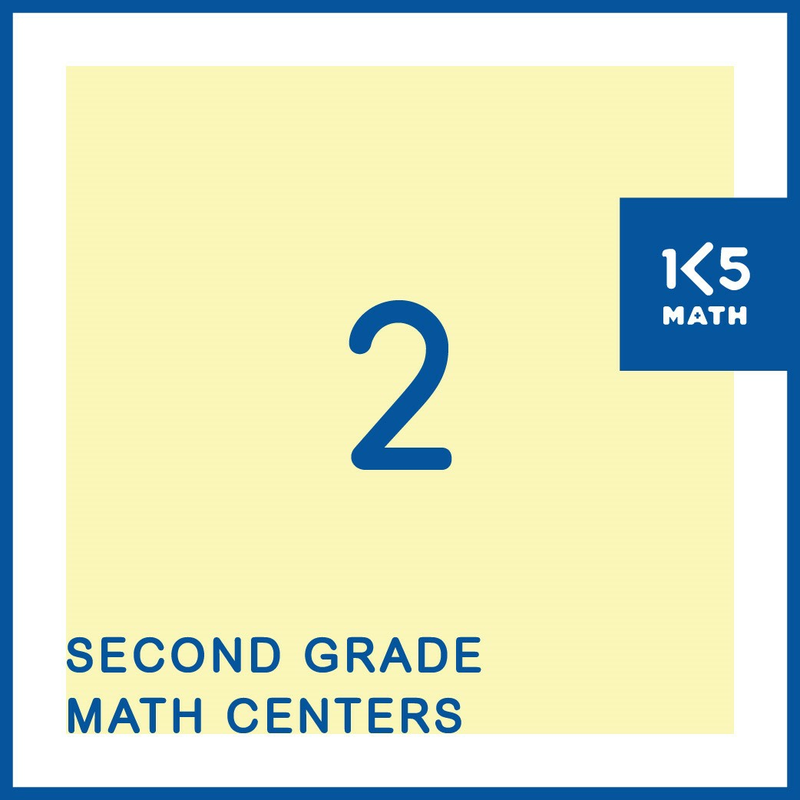 This page provides sample 2nd Grade Number tasks and games from our 2nd Grade Math Centers eBook. Try out the samples listed in blue under each Common Core State Standard or download the eBook and have all the 2nd Grade Number, Geometry, Measurement and Data Centers you’ll need for the entire school year in one convenient digital file. 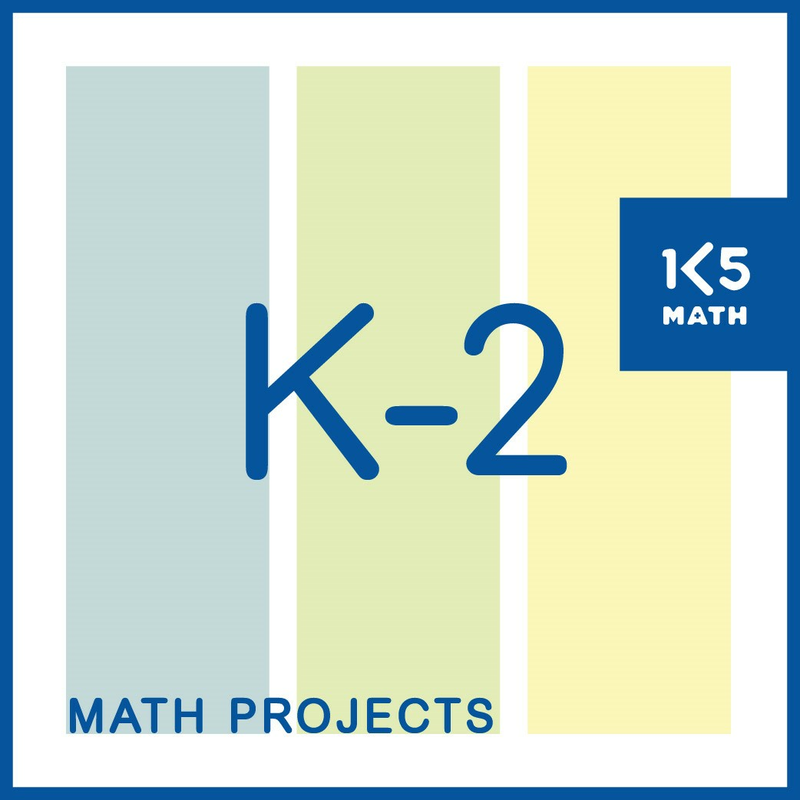 Teaching in a state that is implementing their own specific math standards? 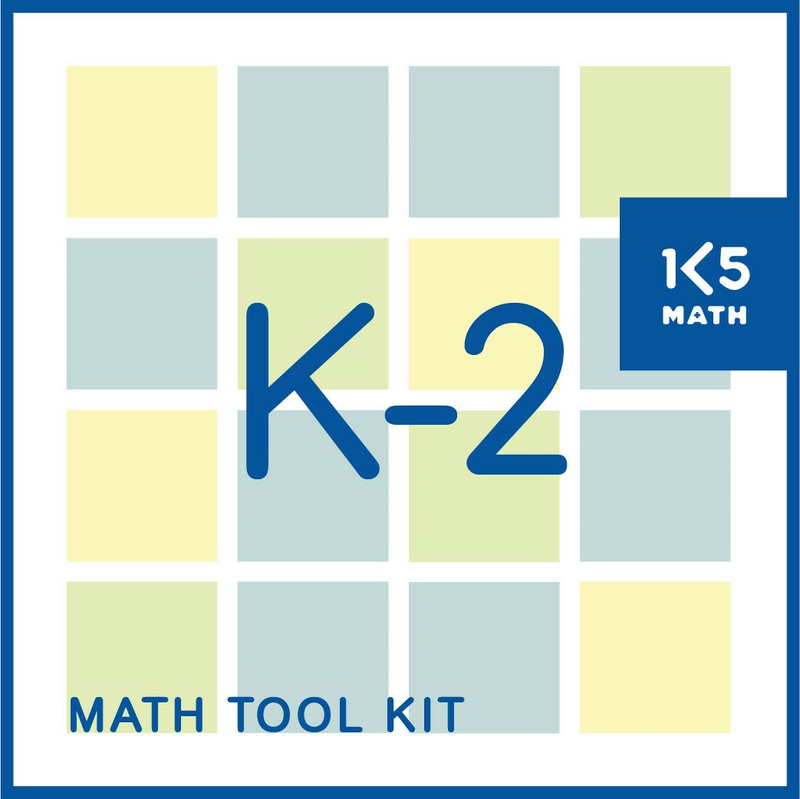 Download our 2nd Grade Correlations document for cross-referenced tables outlining the alignment of each state's standards with the CCSS-M, as well as the page numbers in our 2nd Grade Math Centers eBook related to each standard. 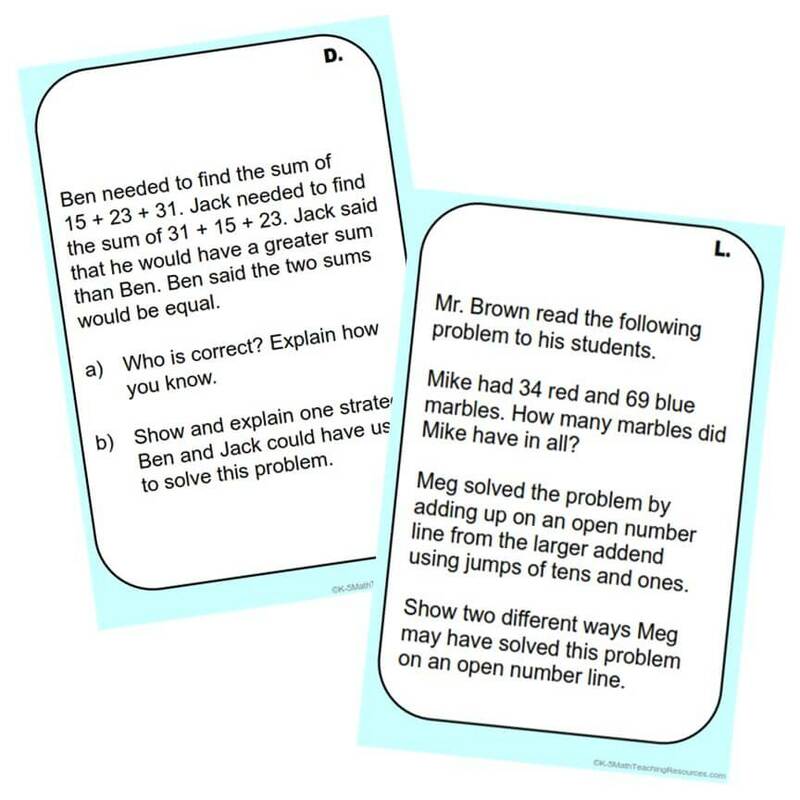 2.OA.A.1 Use addition and subtraction within 100 to solve one and two step word problems involving situations of adding to, taking from, putting together, taking apart, and comparing, with unknowns in all positions, e.g. by using drawings and equations with a symbol for the unknown number to represent the problem. 2.OA.B.2 Fluently add and subtract within 20 using mental strategies. By end of Grade 2, know from memory all sums of two one-digit numbers. 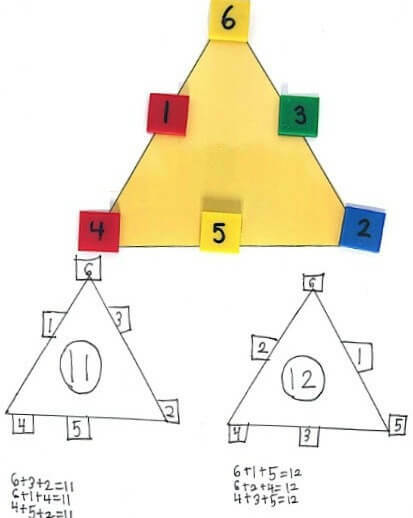 2.OA.C.3 Determine whether a group of objects (up to 20) has an odd or even number of members, e.g. 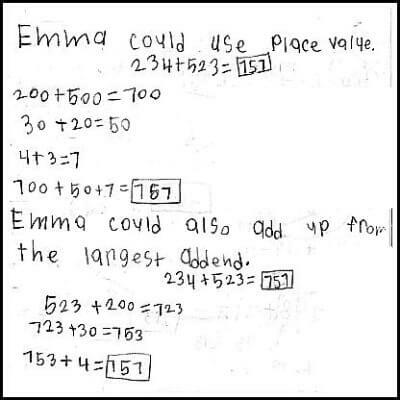 by pairing objects or counting them by 2s; write an equation to express an even number as a sum of two equal addends. 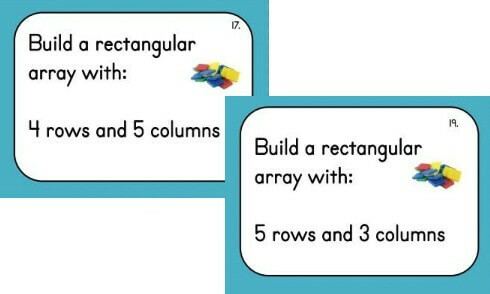 2.OA.C.4 Use addition to find the total number of objects arranged in rectangular arrays with up to 5 rows and up to 5 columns; write an equation to express the total as a sum of equal addends. b. The numbers 100, 200, 300, 400, 500, 600, 700, 800, 900 refer to one, two, three, four, five, six, seven, eight, nine hundreds (and 0 tens and 0 ones). 2.NBT.A.2 Count within 1000; skip count by 5s,10s, and 100s. 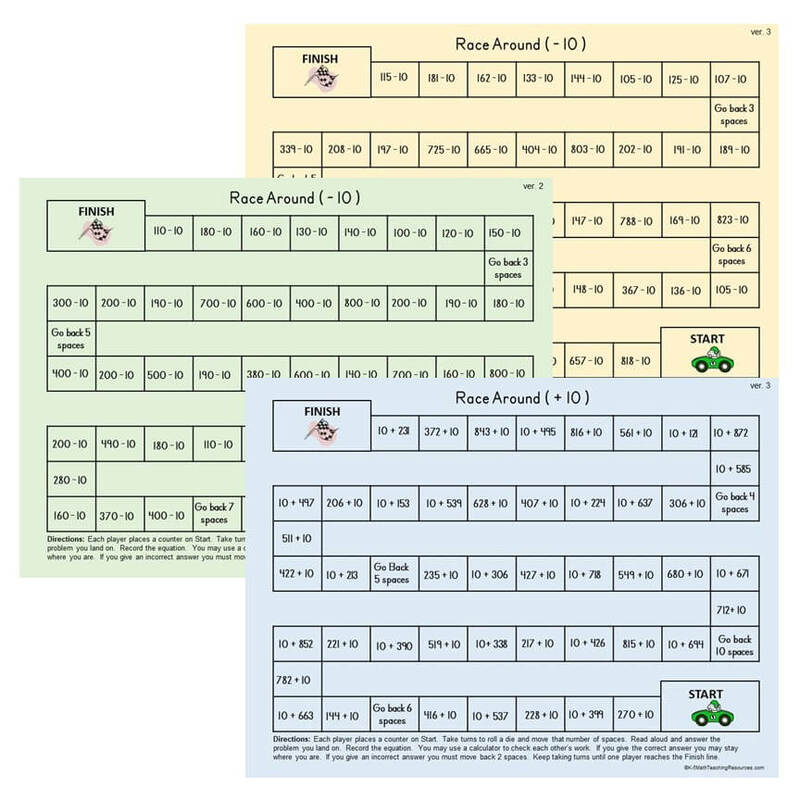 2.NBT.A.3 Read and write numbers to 1000 using base-ten notation, number names, and expanded form. 2.NBT.A.4 Compare two three-digit numbers based on meanings of the hundreds, tens, and ones digits, using >, =, and < symbols. 2.NBT.B.5 Fluently add and subtract within 100 using strategies based on place value, properties of operations, and/or the relationship between addition and subtraction. 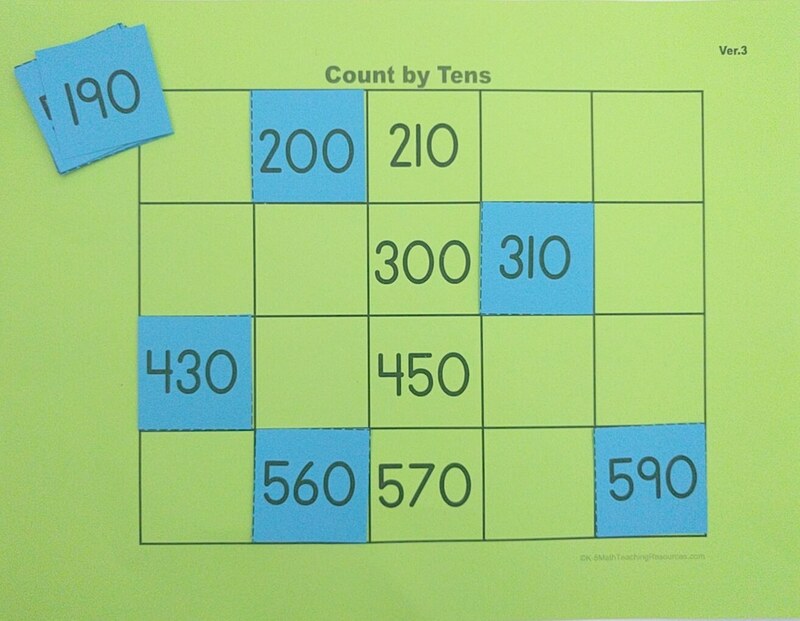 2.NBT.B.6 Add up to four two-digit numbers using strategies based on place value and properties of operations. 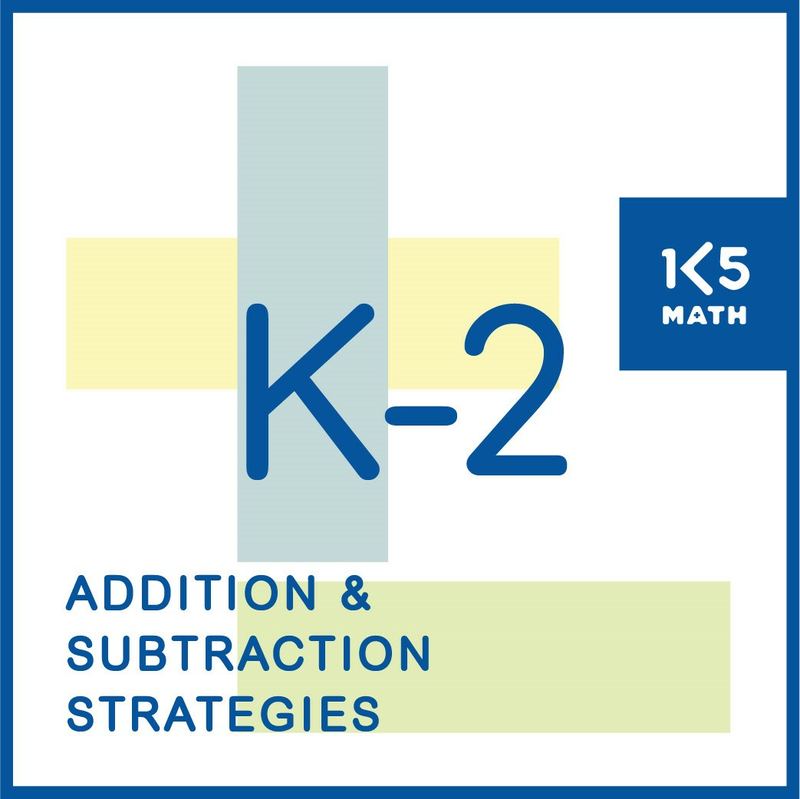 2.NBT.B.7 Add and subtract within 1000, using concrete models or drawings and strategies based on place value, properties of operations, and/or the relationship between addition and subtraction; relate the strategy to a written method. 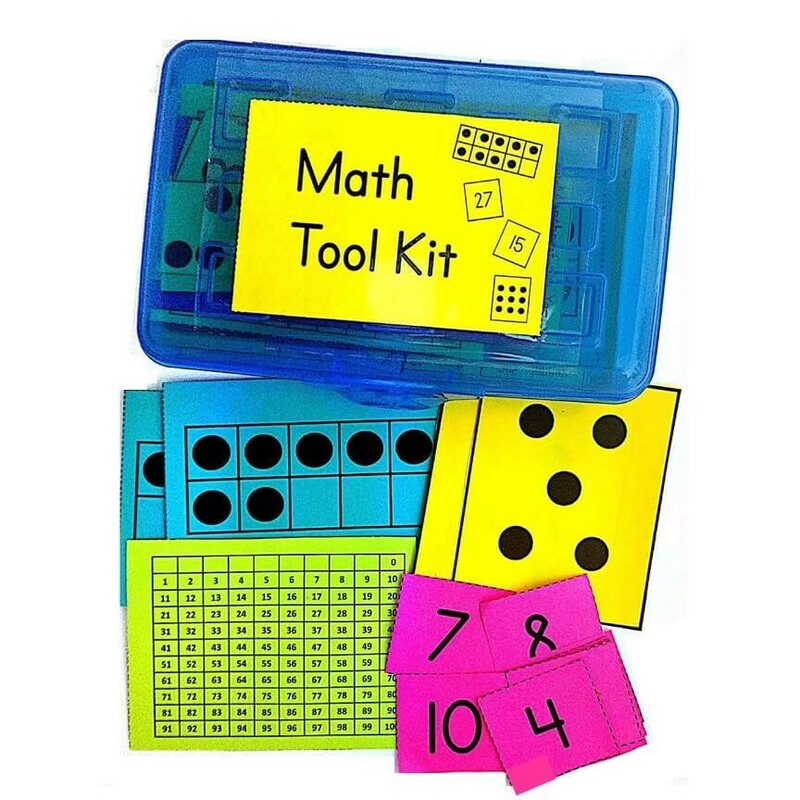 Understand that in adding or subtracting three-digit numbers, one adds or subtracts hundreds and hundreds, tens and tens, ones and ones; and sometimes it is necessary to compose or decompose tens or hundreds. 2.NBT.B.8 Mentally add 10 or 100 to a given number 100-900 and mentally subtract 10 or 100 from a given number 100-900. 2.NBT.B.9 Explain why addition and subtraction strategies work, using place value and the properties of operations.